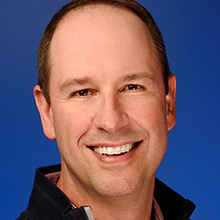 Steve Carlin leads SoftBank Robotics America and is the global Chief Strategy Officer and oversees global marketing, product and strategy. Carlin most recently came from Facebook where he held the role of Global Head of Strategy – Gaming. In this role, he drove the global strategic vision for the company’s Gaming Business and was an external thought leader to the gaming industry. Prior to joining Facebook, Carlin was the Senior Director of Marketing and Insights for Ubisoft. He also held a series of roles in sales, shopper marketing, brand management, and strategy at Energizer and Procter & Gamble. Outside of SoftBank, Carlin sits on the Consumer Technology Association’s Board of Industry Leaders and is an advisor to multiple startups in the US. Carlin has dual US and Canadian Citizen and holds a BA in Geology from Miami University in Oxford, Ohio, and an MBA in Marketing and International Business from Goizueta Business School at Emory University.